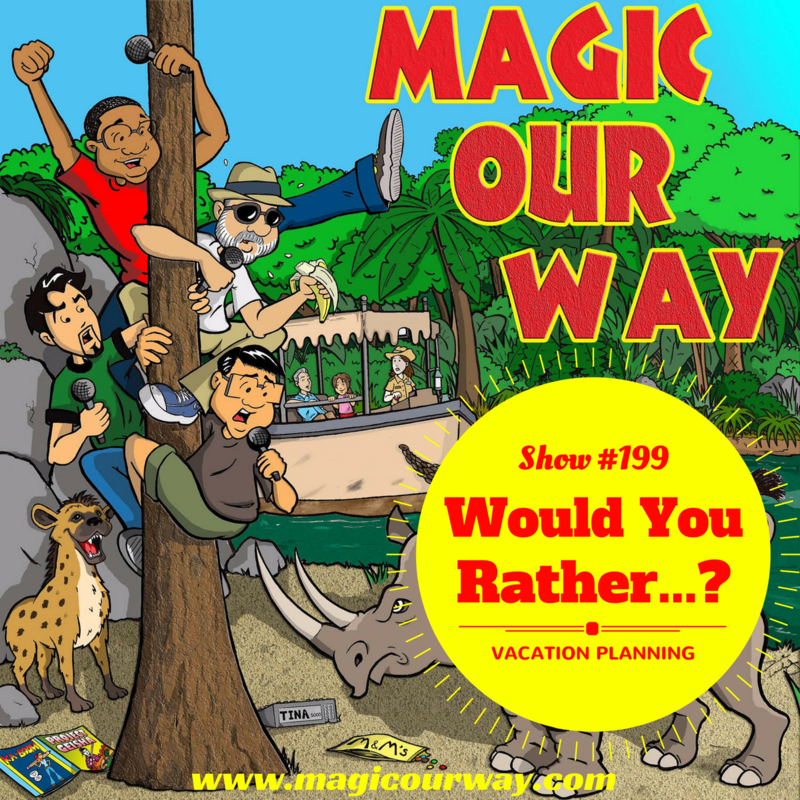 MOW: Episode 199: Would You Rather…? On this episode, we play a game of Would You Rather, for The Hub, put together by our very own Lee Lastovica. This time Danny, Kevin, and Eli have the opportunity to be honorary travel agents. In the Queue, we discuss the reopening of The Hall of Presidents and the Trump protestor. And, we remember the Mayor of Main Street, USA and Mimi Kaboom.